Assuring Safety in Juices and Juice Products: Good Agricultural Practices. The Role of GMOs in Beverage Production. Nutraceuticals and their Role in Beverages. Alternative Processing Technologies for the Control of Spoilage Bacteria in Fruit Juices and Beverages. 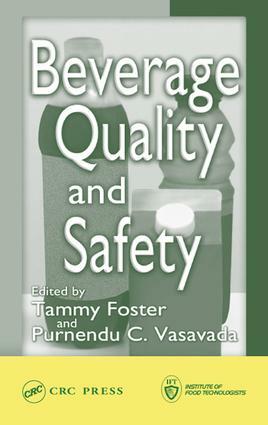 Microbiology of Fruit Juice and Beverages. U.S. Food and Drug Administration Juice HACCP - The Final Rule. HACCP: An Applied Approach. Essential Elements of Sanitation in the Beverage Industry. Juice Processing: The Organic Alternative. Active Packaging for Beverages.